Havenwood Falls High FREE on Kindle Unlimited! Growing up in Havenwood Falls has its advantages – and its pitfalls. 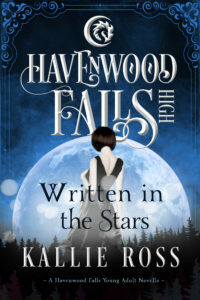 Come discover the first-love romance, teenage angst, and trials and tribulations of the students, human and supernatural, of Havenwood Falls High, our Young Adult series. These stories can be read in any order (although some do have sequels), but if you prefer to have a reading order, you can follow them in order of release.